Any electronic technician knows how important it is to have the finest and accurate multimeter at the workshop. Also known as a Volt-Ohm meter or a multitester, a multimeter is a very helpful electronic device that measures capacitance, conductance, and circuit continuity among others. As a result, a multimeter is a must-have tool for every electrician. Instead of buying different measuring devices separately, professional electricians and engineering students find it convenient to search for a multimeter that comes with more features to suit their needs. Mechanics and vehicle owners also require this device to detect battery and motor glitches. Certainly, the best multimeter is not just for electronic technicians and mechanics but also the DIY enthusiasts because it is versatile. With this device at home, you are sure that your electronic appliances operate smoothly at optimum levels. 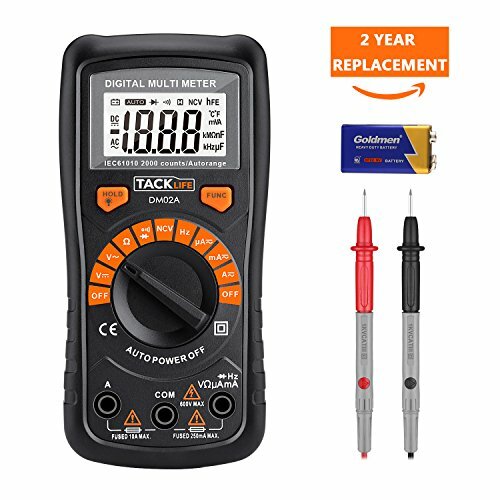 If you are equipped with a multimeter, you will be able to keep tabs on your electronics and if any problem arises, you will be able to fix it right there. Obviously, you will do that efficiently if you have the best multimeter with you, and that is where this buying guide and ten best multimeters review comes in. To a great extent, what decides the kind of multimeter best for you to buy is what you intend to use it for. So long as you get the one with the right features, it will make your work much easier, efficient, and safe. Besides the cost, below are other important things you should think of before purchasing a multimeter. The greatest decision you have to make is whether you want a digital or an analog multimeter. These multimeters are argued to be easier to read and interpret the reading. It also allows you to see the changing trends when measuring current or conductance. Just like a car speedometer, you will be able to see the number readout even with the slightest change. However, the analog multimeters have a lower impedance. 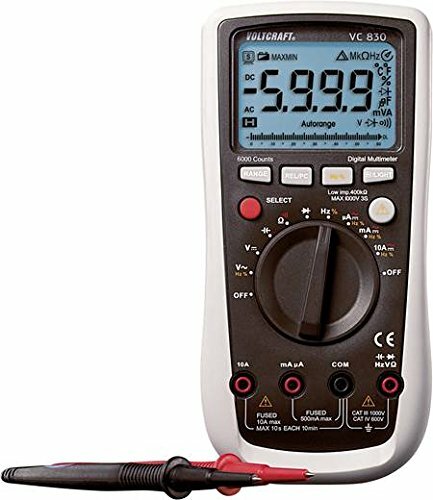 Since the impedance of a multimeter determines how sensitive it will be to the current being measured, the analog multimeter is not the best when measuring any type of voltage. This is because the higher the impedance, the better the multimeter. As a result, analog multimeters are limited to measuring volts, ohms, and amps. Digital multimeters are more popular on the market today than analog meters. Digital meters are multi-purpose and can measure more than just volts, ohms, and amps, which are all the analog meters can measure. These meters come in handy when you are dealing with multiple electronics while you need proficient. What does a Multimeter Need to be Best Suited for Electronics? What else could you ever wish for other than an accurate multimeter when dealing with your electronics? If you are a professional electrician, you will want to spend more as long as you get an accurate product for efficient readout. The best multimeter for electronics should have a lightweight design yet built to last longer. A lightweight meter is good for carrying around with other stuff. More importantly, the buttons should be easily accessed for quick changing of settings. Even though multimeter voltage range depends on where they are used, good electronic meters should have a wide-ranging voltage range. This is because the more versatile the voltage range is the better the meter is for an electrician. An electronic multimeter should be auto-ranging. This is because the auto range mode saves you time and you do not have to do the tedious process of feeding in the values. You simply set it up and you are good to measure anything. Electronic equipment is often temperature sensitive and as such, the multimeter you intend to have as an electrician should also be able to determine the temperature of any electronic you are working on. The backlit display comes in handy when you want to read the measurements. The best LCD displays larger digits thus easy to use even in dark basements and other places. A multimeter is an invaluable tool to have whether you are a professional or an amateur. This tool will help you keep tabs on electronic problems and calculate current, voltage, resistance, conductance, frequency, temperature, transistors, inductance, and circuit continuity. The main reason to use this tool is that it gives you the most accurate measurements and identify and troubleshoot electrical issues on all types of equipment. Using a multimeter is easy. All you need to do is connect the meter to a circuit by slotting in the black or right probe into the right terminal. If you want to determine resistance using a digital meter, turn the selector knob, switch off the circuit, and then remove the resistor. Touch the probes while in contact with the resistor. 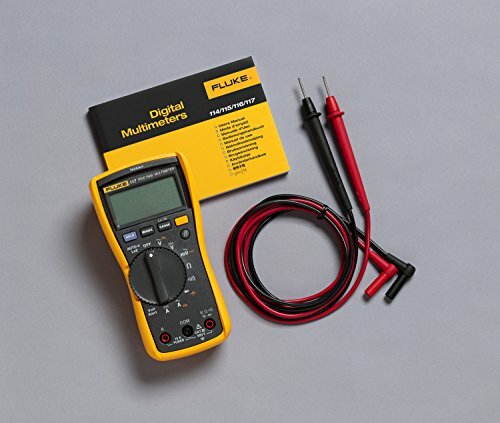 Since digital multimeters can measure a variety of purposes, however, it is important to read the product guidelines carefully. With a compact design, the Fluke 115 is easy to operate. It features a large white LED backlit display that allows you to work even in poorly lit places. The True RMS digital multimeter displays voltage and current readings of up to 600 count resolution, capacitance, and continuity. This makes it a perfect tool for quick authentication and field service use. When you want to eliminate ghost voltage or perform continuity or basic wiring inspection, you just need to use the Fluke 115. The multimeter has proved to be efficient in electrical maintenance and electronic troubleshooting. 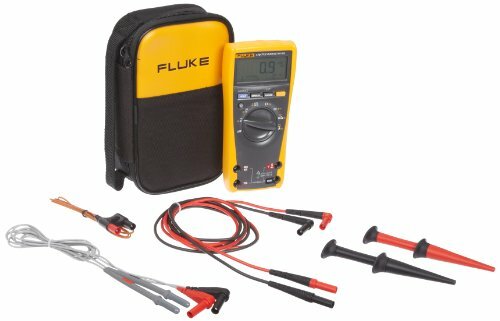 The Fluke 179/EDA2 features DMM with innovative and electronic troubleshooting function that comes in handy when working with electronics. This device is preferred by professional electricians across the world due to its reliability and easy to use features. It is designed with a wider display that provides an analog bar graph and a digital display function. You can easily take temperature measurements with its in-built temperature gauge. With a lifetime warranty and CAT IV 600V/CAT III 1000V safety test, you can use it in any environment. The Ragu 81D is an incredible and fully featured multimeter that can be utilized for a wide range of electronic measurements. Its large LCD display allows easy reading of measurements while its data hold gives you the convenience of taking readings and taking notes. Its overload protection feature helps protect you against electric shocks while safeguarding you and the device at large. This device is very easy to use. 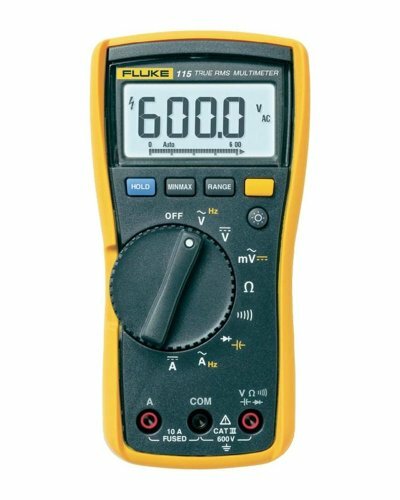 The Fluke 117 is the best RMS for people who want accurate measurements on non-linear loads. Its large white LED backlit allows convenient reading even in poorly lit environments. It features low input impedance, which is important at preventing false readings as a result of ghost voltage. 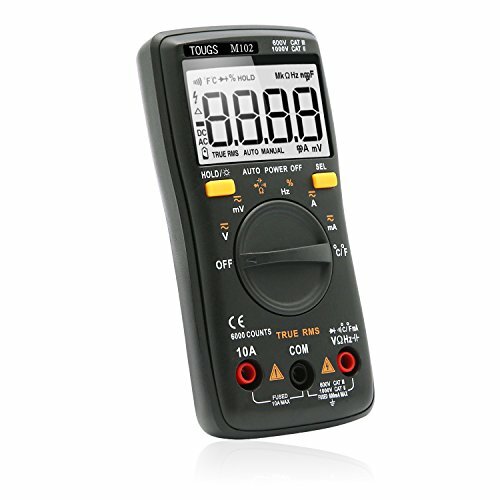 The TOUGS M102 is a digital multimeter that features an ergonomic design with wide-ranging functionalities. It is auto-ranging for ease of use. It is self-calibrated and will analyze the clutter from the environment while clearing it before every use. This ensures accuracy and reliability. With its wide range of 6000 counts display, you can be sure to read more precisely than 2000 count. 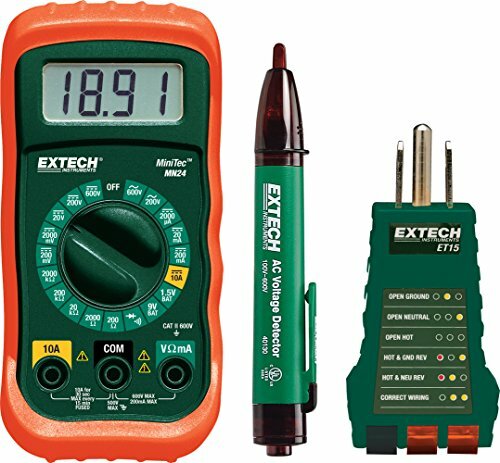 The Extech MN24 is a digital multimeter that comes with a large and easy to read LCD display. It can measure both AC/DC Voltage and DC Current, continuity, and resistance among other features. It is easy to use since it is a basic troubleshooting tool for common electrical issues. The VC830 is a professional multimeter that features a patented casing that allows easy opening to change the battery and the fuses. Its integrated TLD-function warns of any measuring lines that are incorrectly connected. The voltcraft is a multi-purpose multimeter with a wide selection such as analog, digital, bench, and calibrated measuring instruments. The Besita is a digital multimeter that features an auto-ranging design that is excellent and easy to operate. It is portable thus convenient for automobile, industrial, and field application uses. This auto-ranging meter is easy to read with its highly visible backlit display and a large LCD screen for real-time measuring of data. The Besite TRMS 6000 is accurate to 0.5 percent of the reading. This high-performance multimeter can be used for AC & DC current, AC &DC voltage, frequency, capacitance measurement, duty cycle, and continuity detection. It is also equipped with a transistor adapter that can measure transistor magnification while making triode measurement stress-free. The Meterk 6000 features a fashionable design that is portable, shockproof, anti-fall, and suitable for single hand modeling. It also features a precision circuit board and an overload protection function. It is designed for wide-ranging applications. It is committed to offering electricians a better experience, efficiency, and convenience when used. Searching for the best multimeter for your professional use can be quite an uphill task. You have to consider several models in order to find the best multimeter to suit your needs. 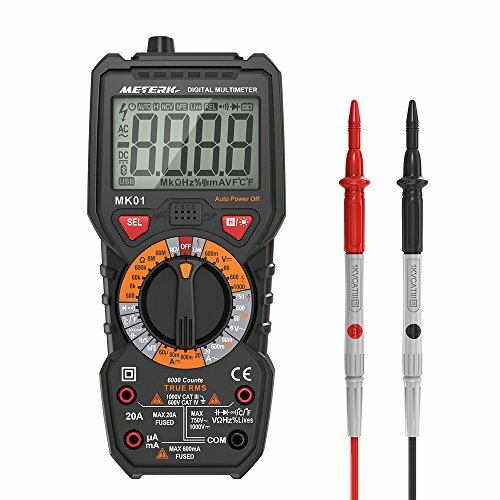 Hopefully, these multimeter reviews will help you to choose the right electronic meter for your job or project. Do not hesitate to share your thoughts with us after using any of the multimeters we have reviewed above.